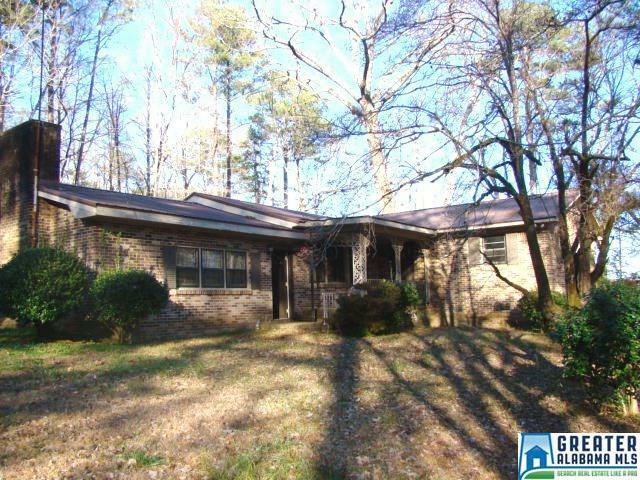 Nice brick home situated on 2 +/- acres is over 2000 +/- square feet. Huge master suite with double closets, sunken den with fireplace, dining room, breakfast room, 2 tile baths, and large laundry. Estate and sold as is. Detached blue workshop also goes with property. Driving Directions: Located On Alexandria Jacksonville Highway From Jacksonville On The Right.